Issa Kalantari, the head of Iran’s Department of Environment, has strongly criticized the Islamic Revolutionary Guards Corps (IRGC) for meddling in the agricultural sector and wasting the country’s financial resources on ineffective projects. In a rare and bold rebuke of the Guards, Kalantari, who previously served as the minister of agriculture, pointed out that Iran’s Ministry of Agriculture cannot devise and implement its policies efficiently and independently because it is “under the influence of military institutions”. He added that military leaders make key decisions on agricultural issues and claimed that those decisions and plans are often counterproductive. Kalantari also highlighted that the IRGC has arrested several environmental activists and workers on espionage charges, hinting that the main reason for their arrest is that they have questioned IRGC policies on environmental and agricultural issues. Kalantari’s remarks were a reaction to a recent statement by Mohammad-Reza Naqdi, former head of the IRGC’s Basij Organization, who claimed that Iran has the capacity to produce sufficient food for 1.5 billion people. “When General Naqdi expresses an opinion as a military official saying that Iran has the potential to produce food for a large number of people and our scientific associations remain silent to such an assertion, it makes all decision-makers go astray,” he complained. According to Kalantari, the IRGC considers global warming a foreign conspiracy and hinders any efforts aimed at tackling adverse changes in climate. Comment: The IRGC’s involvement in the agricultural sector indicates the growing militarization of the Iranian economy. Last year, the Guards announced that its forces are now involved in Iran’s agricultural industry in an effort to help the country’s policy of “resistance economy” and self-reliance. “Sepah [I.R.G.C. ], in addition to other missions, has recently entered the fields of agriculture to assist the resistance economy,” IRGC's Chief Commander Major General Mohammad Ali Jafari said at a gathering of Iranian scientists and technology experts. “God willing, Sepah will be the first to seek and purchase domestic technological products,” he pledged, urging other Iranian entities to buy domestic products instead of importing foreign merchandise. He also tasked the head of the Basij Organization to develop a mechanism to ensure that the purchase of domestic products is given priority. The IRGC’s growing role in the agricultural and other sectors have also exacerbated Iran’s environmental challenges. In recent months, IRGC agents have arrested scores of water management and environmental experts and activists on spurious charges. The IRGC, in collusion with the country’s repressive Judiciary, accuses those arrested of working for foreign intelligence agencies; but in reality, the IRGC targets these individuals because it considers them a threat to its environmentally-destructive construction projects. 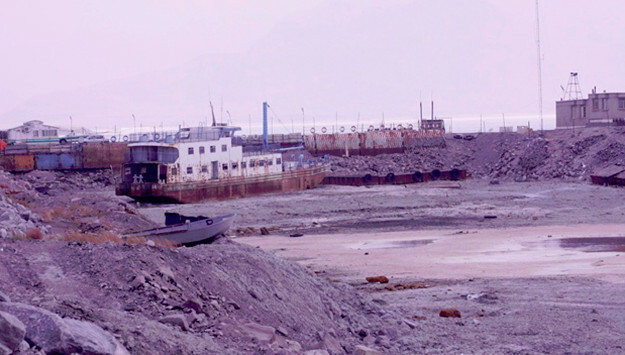 Reports in the Iranian media reveal that many water management experts, for example, have been arrested after questioning unscientific IRGC-built dam projects, which have exacerbated water scarcity and land degradation in different parts of the country. As Kalantari’s remarks suggest, the mass arrests have also sparked a public clash between the Rouhani government and the Judiciary at a time when environmental issues have recently triggered anti-government protests across the country. Environmental activists' ability to mobilize the masses have also made them a prime target as Iranian regime continues to face popular unrest.